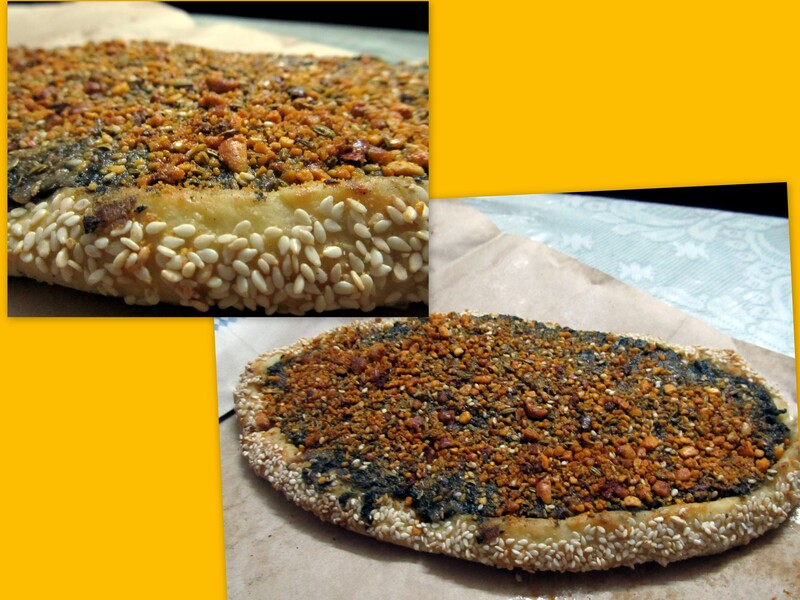 Sufra – Spinach Pide finally! I ATE IT! FINALLY – WHEW!!!! So I guess, this is one of those dishes that you either really like or don’t – there is no ‘okay’ about it. This is made on a bread base which is over 10″ long. I can’t really say what the spread is made of as the taste is not very spinach-y but has a lovely texture and taste. Sprinkled over on top is what I think are flavoured cashews or nuts. I absolutely loved this dish and want to go back for it again. At Rs. 175 its more that a tummy-full. 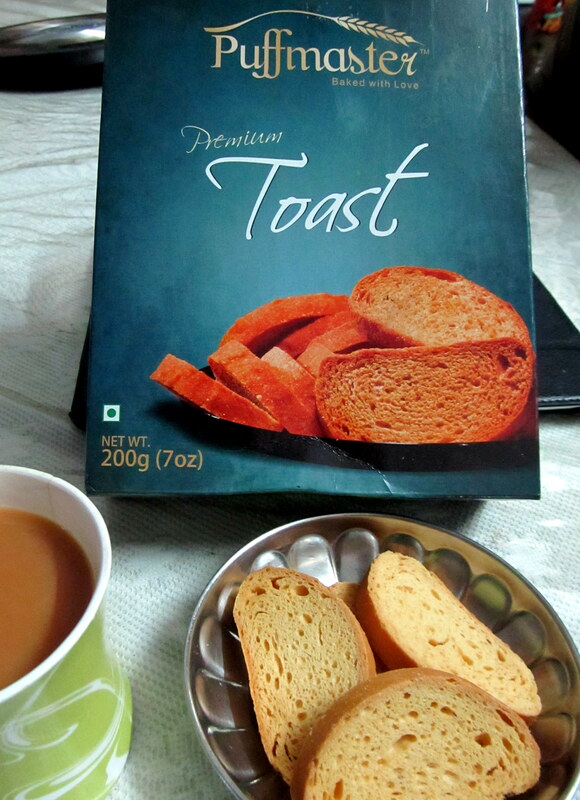 Another product from Puffmaster is their Premium Toast – I really like it. These are 2″ toasts to be dipped in tea and enjoyed. And enjoy do we!. Look-wise, they are dainty little 2″ pieces of toast, but they pack a mouthful on eating. As should be, they are extremely well-toasted, so each bite gets a ‘crunchy’ sound out of the mouth. Dip it in tea and eat and relish the evening snack. Again, as with Puffmaster’s other product, this too is priced higher than other brands in its category but the packaging and flavour make up for the pricing. At Rs. 50 for 200 gms., they make a lovely accompaniment to tea. Crunchy when you bite but melt-in-the-mouth, these biscuits are perfect for a evening snack with tea. (I had mine with black coffee). Its premium pricing for khari biscuits but it comes well packaged and you get un-broken pieces when you open the packaging. 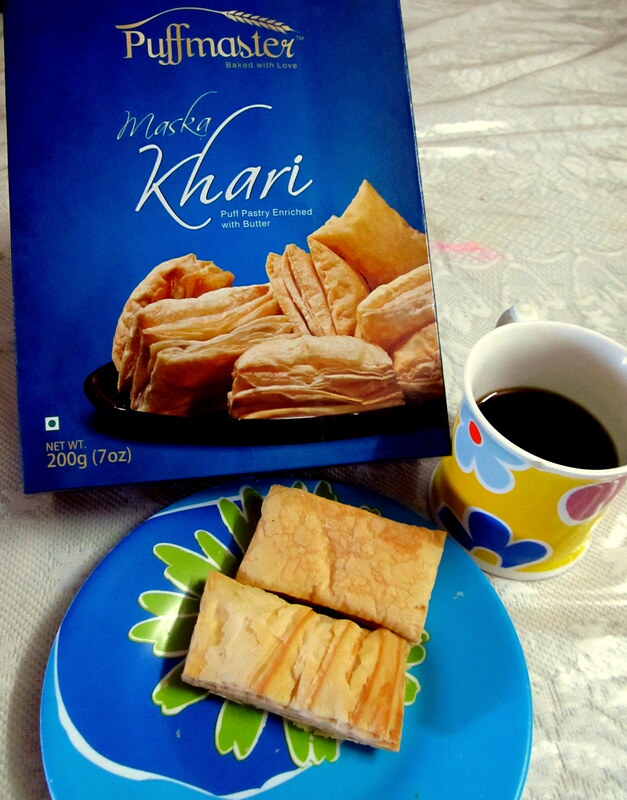 Taste-wise, they are absolutely fresh tasting and are just perfect – just as a khari biscuit should be! Enjoy. I have always loved this place. Its a pure vegetarian restaurant and it serves amazingly delicious food. Its been a long time since I eaten there. Knowing my liking for this joint, my hubby got me my dinner from there last week. 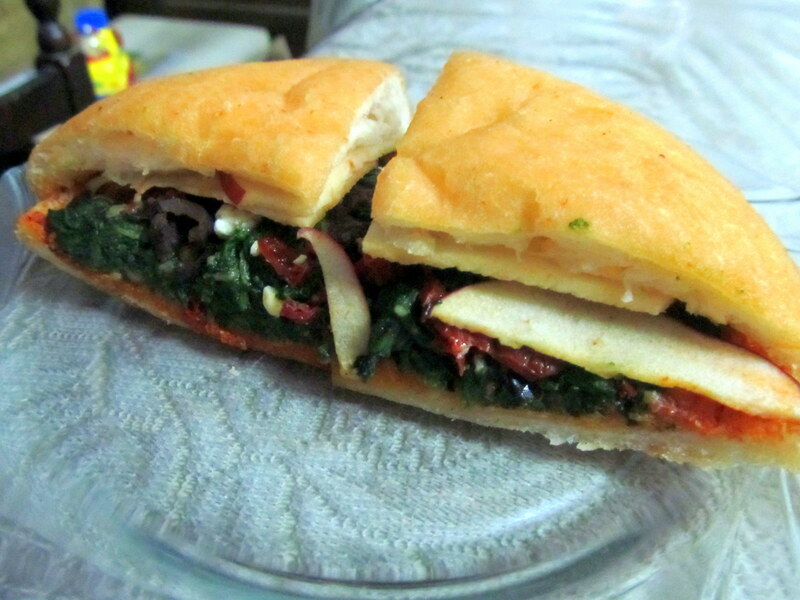 Dinner consisted of 2 sandwiches – Pickled aubergine and oven roasted vegetables in Mediterranean spice bread and Saute spinach, sun-dried tomatoes and feta cheese in warm brioche bread. Both are priced at Rs. 205 each + taxes. Don’t they look appetizing? Any one sandwich is sufficient for dinner. Add a coffee and you are completely satiated. 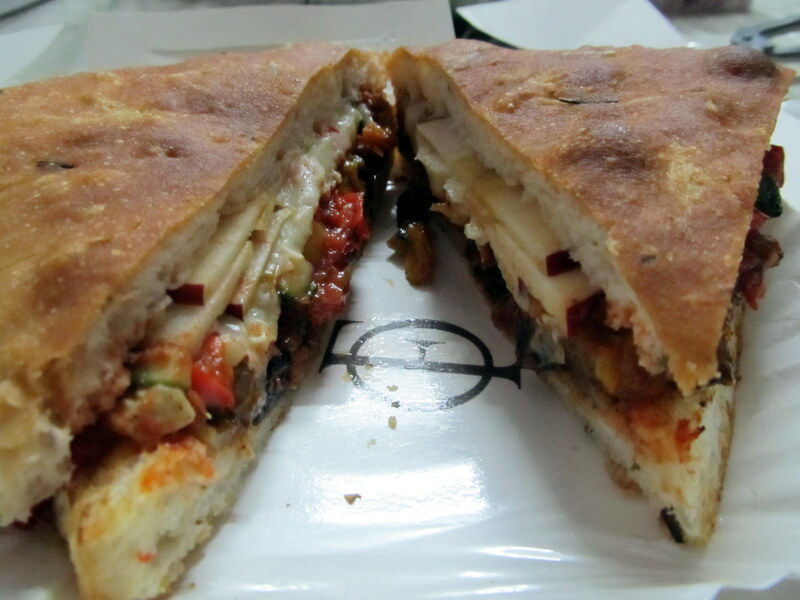 I loved the first sandwich – the aubergine one. Its perfect. I have eaten many-a-similar sandwiches like it but what sets this apart is that it has thinly sliced apples too. This gives the sandwich a very interesting taste. This is a must-have sandwich. The latter one, the spinach is average. It too has the apple slices but I’ve eaten better spinach sandwiches elsewhere. This sandwich is served in 4 portions (my pic has half the sandwich). Verdict – all enjoyed. 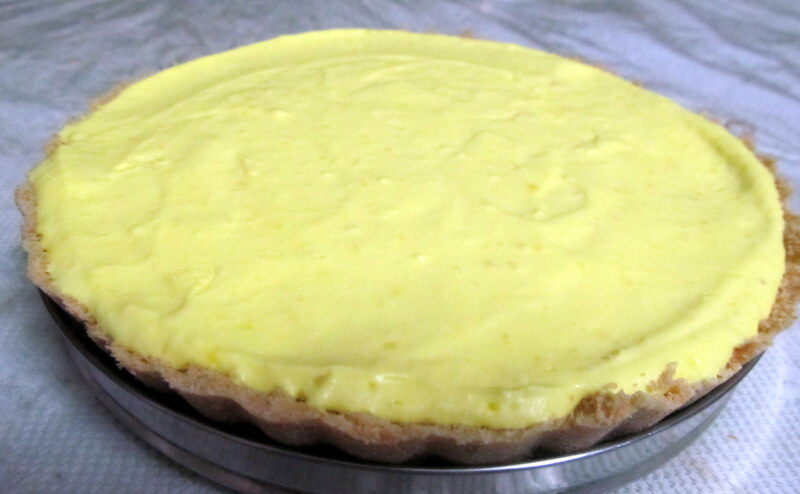 My hubby (who has become a recent fan of lemon cheesecakes and thus for whom I learnt to make this) loved it! Shared a chunk with my neighbours – they too relished it. 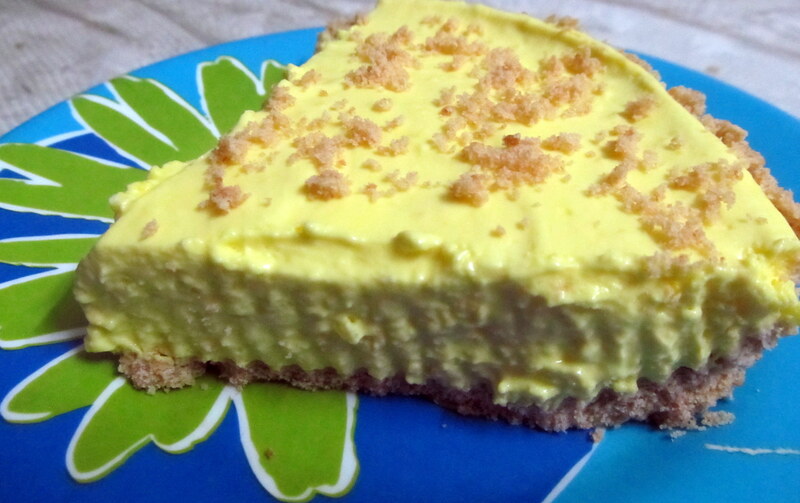 Mission accomplished – my homemade lemon cheesecake is better than the one I bought yesterday. It feels good to know that one’s homemade dish is at par or better than whats available outside – give me a great feeling of happiness to see my loved ones enjoying my cooking. 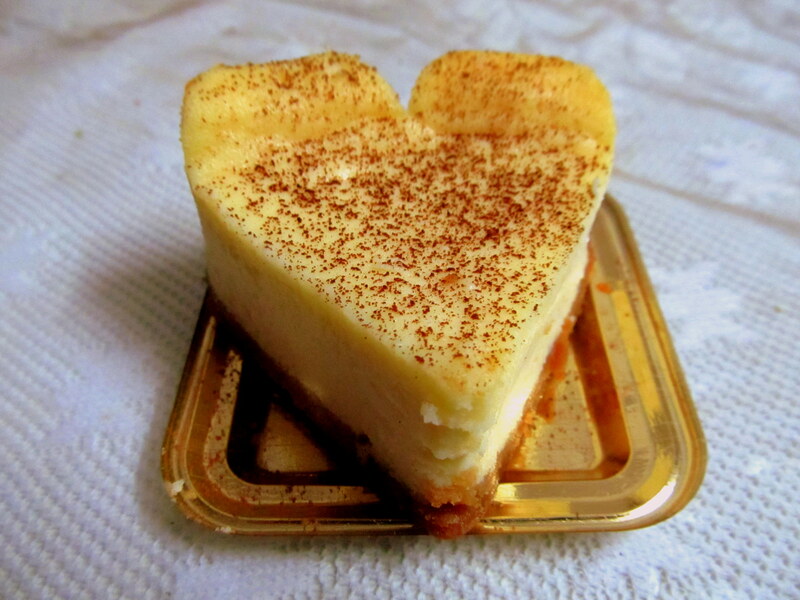 Thanks to this cheesecake goes to aunt. This is a 3 month old cake/pasrty – dessert store that has opened its shop at Colaba, close to the Colaba Postoffice. Selling cupcakes, cheesecakes, tarts and such. The owner was in, while I was there. I tasted the mini chocolate cupcake (Rs. 25) – Its got good taste but I think its a bit too expensive for the size. Its a one-bite or actually its a put-the-whole-thing in your mouth sized cupcake. I then sampled the caramel sauce – its absolutely divine. Selling at Rs. 200 a jar (20ogms) its awesome. As per the leaflet, cheesecakes are Rs. 70 a piece, but when I bought the baked lemon cheesecake, I paid Rs. 100 for it. (when I asked why-I was told it was a new addition to the menu and is more expensive). Was it worth it? NO. It was even below average. A big disappointment. Aunt tasted it and she said, her’s homemade it even better! We plan to make it soon. This bakery turned a year old in January 2014. Its located at Colaba, between the market and postoffice, on the main road. I have passed-by this route numerous times, seen this bakery but somehow never got my foot in. Finally, went there last evening. 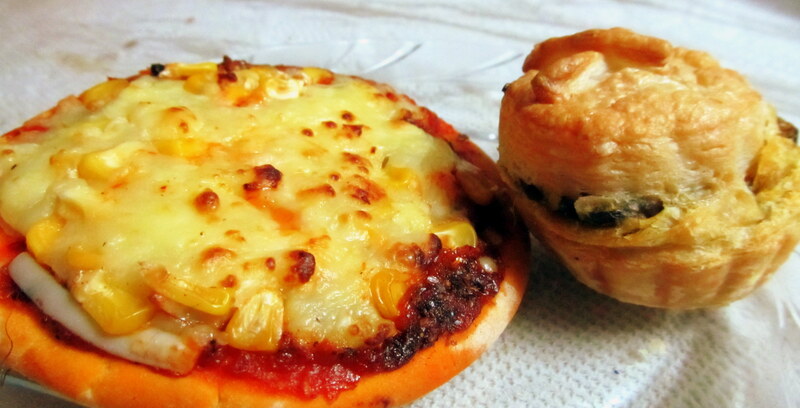 Wanting a light eat for dinner, picked up a vegetarian fare of pizza and puff. The pizza at Rs. 4o is a 4 1/2″ pizza with a good amount of filling and cheese (the american corn pieces are a tad too many). Its got a good flavour and makes a very good mini meal with the puff. The puff at Rs 20 is a spinach and paneer stuffed savory. The puff is light and its almost a melt-in-the-mouth mini feast. I really enjoyed this light dinner, which I had with homemade coffee. I am gonna go to this place more often – I mean it! Its good, fresh and tasty. The bakery is well designed and has an extensive menu. It boasts of cakes, pastries, breads, cookies, brownies, sandwiches and savories such as quiche, rolls, croissants. Next, I am keen on trying are their breads and quiche.